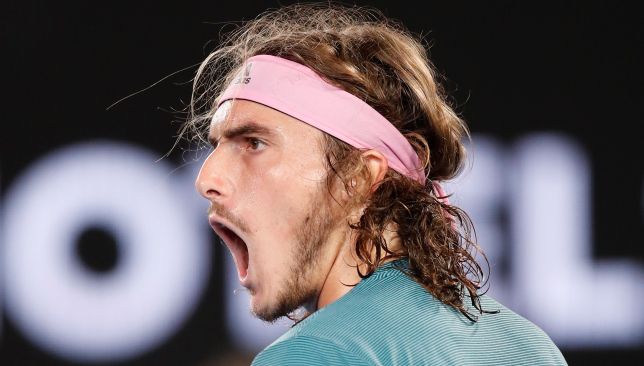 Stefanos Tsitsipas had to apologise for an expletive-laden rant at the Australian Open as he set up a fourth-round clash with Roger Federer. Twenty-year-old Tsitsipas is arguably the most exciting young talent in men’s tennis and his meeting with defending champion Federer on Sunday will be one to savour. But the young Greek also has a temper and, after the umpire decided to replay a set point for Tsitsipas during his clash with Nikoloz Basilashvili at 5-3 in the third set, the 14th seed let rip. Melbourne’s Greek population have turned out in numbers to support Tsitsipas and his countrywoman Maria Sakkari, and there were a lot of young fans in Margaret Court Arena. Pressed on his language afterwards, Tsitsipas said: “It was heat of the moment. I said some really bad things. I regret saying them. But I really wanted this really bad. The Greek has set up a tantalising clash with Federer. 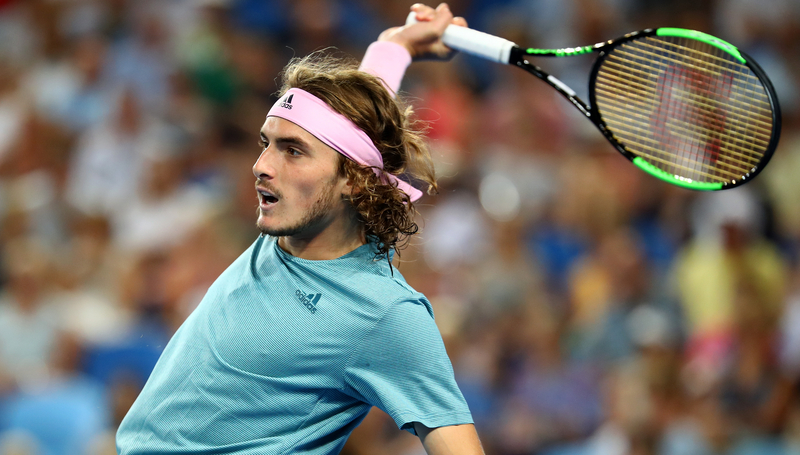 Among a talented generation, Tsitsipas stands out with his flowing curly locks and flamboyant game, but it is his fighting spirit that is perhaps his greatest asset and he showed it in abundance to beat the dangerous Basilashvili 6-3, 3-6, 7-6 (7), 6-4. 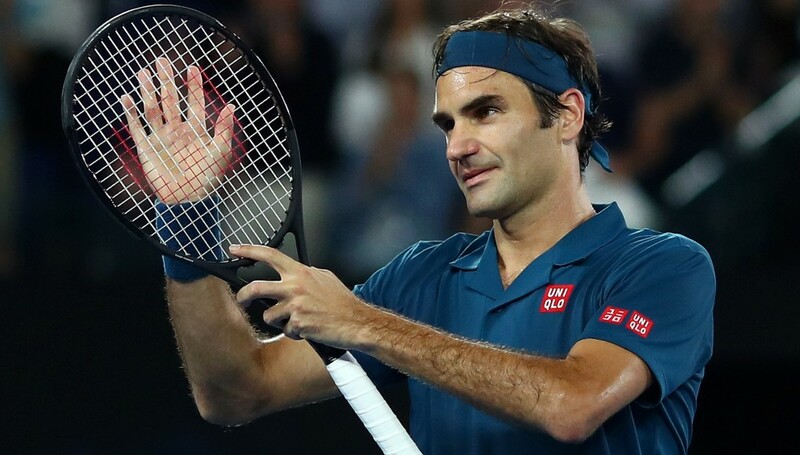 Federer and Tsitsipas have never played a competitive match but they each know what to expect from the other having contested a high-level encounter at the Hopman Cup earlier this month. Tsitsipas knows he must be prepared not just physically but mentally, saying: “If I thought about it now it’s insane I’m in this position where I can actually play him. It’s really emotional. 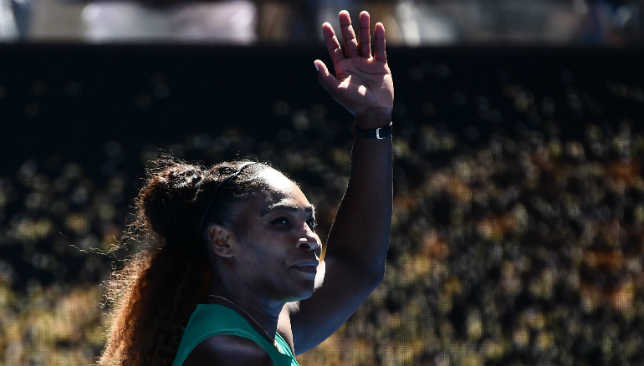 “It’s not easy to play these kind of players that you’ve been watching for so long. Mentally you have to be much stronger than any other match. So does he believe? “I feel good, I can tell you that,” he added. Tsitsipas was not born when Federer began his professional career but the 37-year-old continues to make top-level tennis look ridiculously easy and his 6-2, 7-5, 6-2 victory over young American Taylor Fritz, during which his four-year-old son Lenny made a rare appearance, was full of highlight-reel shots. The third seed is excited to be taking on Tsitsipas, saying: “I’m happy I played against him at the Hopman Cup. I think he played really well there. I actually did, too. I thought it was really high-quality tennis. This is obviously a different type of match. Grigor Dimitrov continued to take advantage of his favourable draw, beating Italian Thomas Fabbiano 7-6 (5), 6-4, 6-4 to set up a last-16 meeting with America’s Frances Tiafoe. The 20-year-old was in tears on court after backing up his big victory over Kevin Anderson by coming from two sets to one down to defeat Andreas Seppi.